Richard Elliott Friedman—author of Who Wrote the Bible?—has done it again. Already by the end of the brief introduction, I was hooked—he had me at “Did the Exodus happen, and does it matter?” Never mind that I have been discussing the same questions with my students in class for a couple of decades now and have written about it myself; I wanted to know what Friedman was going to say. A gifted writer, Friedman speaks directly to the reader—at times literally. “Let me ask you a question,” he says right at the beginning. “What does your intuition say: that something happened in Egypt, or that nothing happened?” Anticipating the answer given by some, he adds, “And if your answer was, ‘Why should I care?’ then the objective of this book has to be to show you what probably happened and also to show you why it matters.” He then proceeds to do exactly that, presenting the material in a series of chapters as “a work of detective non-fiction,” as he calls it. I kept expecting Sam Spade and the Maltese Falcon to appear on the next page. They never did, but they could have. The book is full of fascinating facts, intriguing hypotheses, and interesting conundrums. Some are common knowledge, including the problem of two million people leaving Egypt all at once. Others were new to me, including the fact that only eight Israelites in the Biblical account of the Exodus have Egyptian names, and all eight are Levites, including Moses himself, which is an intriguing observation. 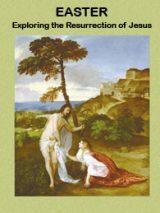 He also describes a thought experiment that was more up my alley: What if we had first discovered all of the archaeological finds and only later found a copy of the Bible (rather than already having the Bible in hand before the archaeological discoveries were made)? Thus we would have had Sennacherib’s inscription describing his siege of Hezekiah and Jerusalem before reading the Judean report of the same event, written from their perspective (in 2 Kings and Isaiah). Similarly, we would have had the fragmentary Tel Dan inscription, which mentions the House of David, well before learning of the Biblical accounts which “give us long, detailed accounts of King David and his descendants on the throne of Judah” (in 1 and 2 Samuel, 1 and 2 Kings, and 1 and 2 Chronicles). What would be the reaction to the discovery of such a book? Friedman suspects that some would undoubtedly claim it to be a forgery, while others would hail it as a revelation. All other things aside, it “would put flesh on the archaeological bones,” as Friedman correctly concludes. 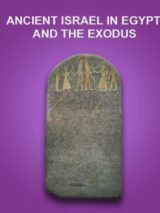 With his engaging style, supported by superb scholarship and straightforward thinking, Friedman has succeeded in making his way through the morass of previous publications and presenting his take on how the Exodus happened and why it matters. For those so inclined, the detailed endnotes contain additional asides and discussions, although the book can also be read without ever consulting these. Even the appendices are interesting. Friedman has succeeded in writing one of the most enjoyable books that I have read in a long time. I won’t be alone in this opinion, for this is a book that will be a pleasure to read for anyone who picks it up, from beginner to the undergraduate student to the most erudite scholar. Eric H. Cline is Professor of Classics and Anthropology and Director of the Capitol Archaeological Institute at The George Washington University. Dr. Cline is also the Co-director of the Kabri Archaeological Project at Tel Kabri, Israel. His many books include Three Stones Make a Wall: The Story of Archaeology (Princeton, 2017).